Sign up for the big brain audio newsletter to be informed of upcoming workshops. Contact us if you are interested in private tutoring or Skype Sessions. Description: This two-day intensive course will make you an expert at creating your own sounds and effects with Absynth 5, one of the most innovative sound design tools available today. 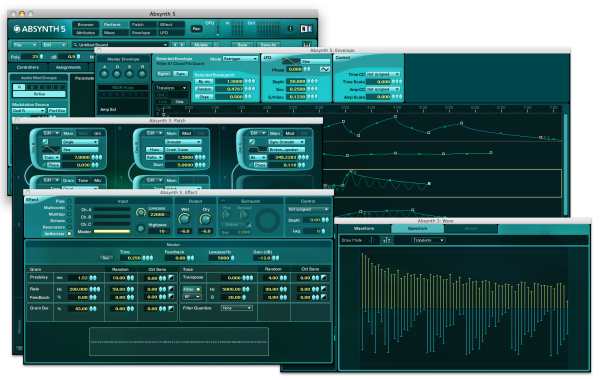 Using Absynth’s unique audio engine, you will create a number of different types of sounds from scratch and design and build your own signature effects to integrate (as sends, inserts, side-chained fx) into your own production environment. In addition, Brian Clevinger, the creator of Absynth, will open the secrets to advanced synthesis and processing with Absynth and will share a number of workflow tips for increased productivity and creativity. Sign up now!